The beloved red furry monster and alpha Muppet of Sesame Street is celebrating his 47th birthday this year on February 3rd. 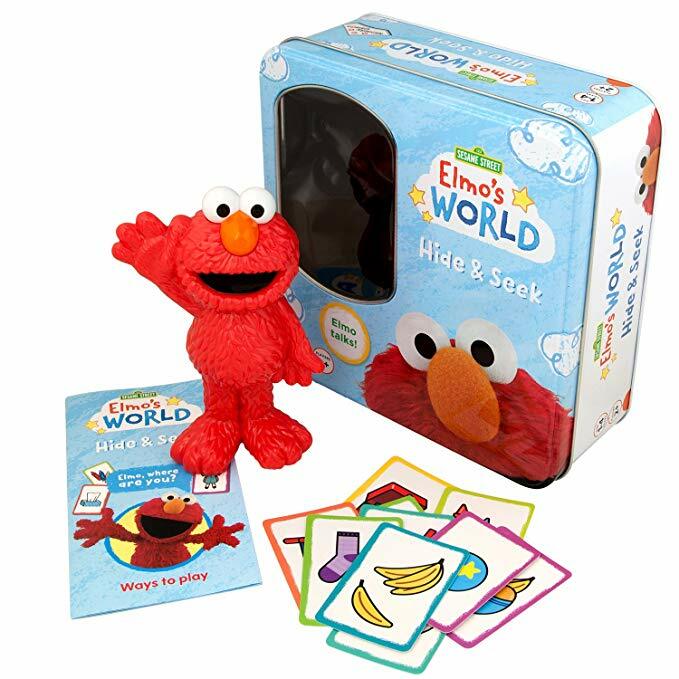 You might remember when the first Elmo toys hit the shelves and kids went crazy — and parents too, to be frank. The main character of “Elmo’s World” has been a staple in the education of many toddlers and an icon in television. The highly educational toys and plushies that portrayed him brought a piece of him and of the show to the hands of our little ones since 1972. Toddlers got obsessed with these toys, and playtime became ten times better since then. 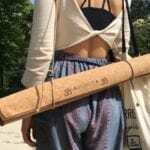 Games that entertain, teach and help kids have a good time? You bet parents were on board since the beginning. Today, we have seemingly endless choices of Elmo toys. 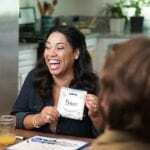 Parents and caregivers can get overwhelmed when trying to choose the right one. Fear not. 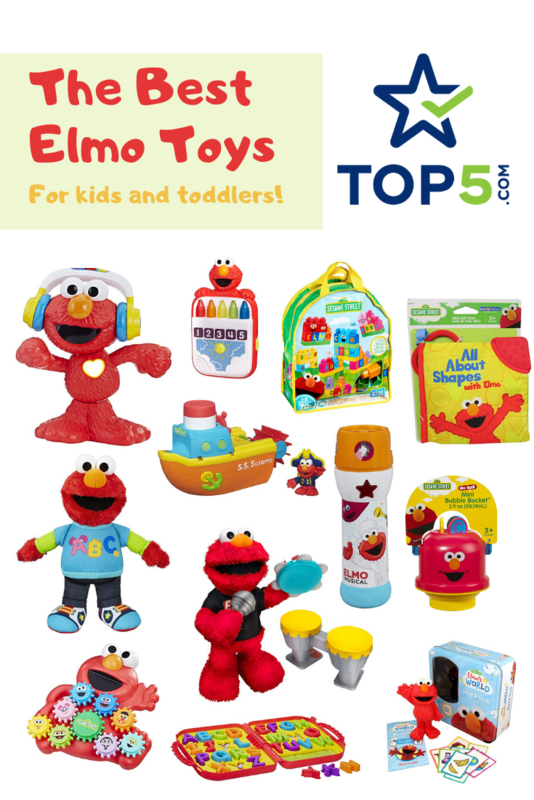 We selected for you the best and most recommended Elmo toys to cheer up any baby or toddler! Let’s start with the classics. 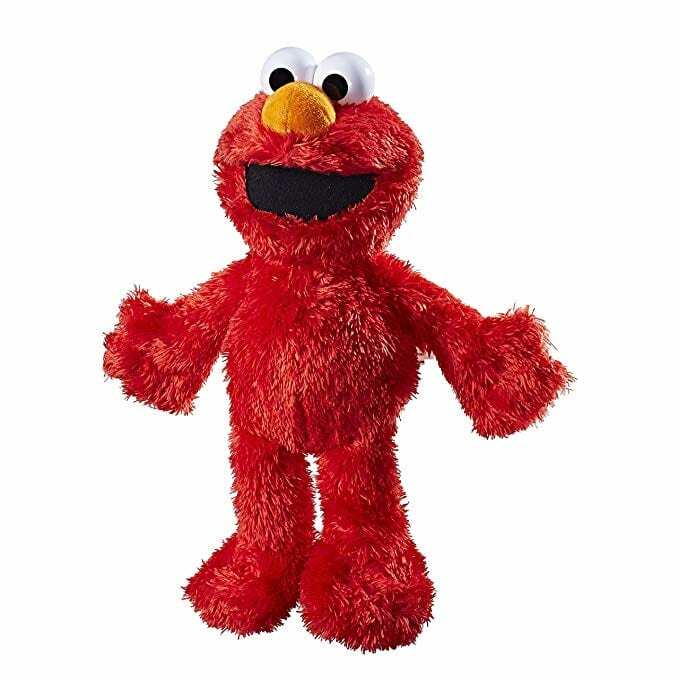 The first Tickle Me Elmo toy appeared in 1996, and no one could have predicted the huge success it had. Kids only need to press the plushie’s tummy or squeeze his foot to hear him laugh. The harder you tickle him, the harder he laughs and shakes. No wonder kids went crazy over it. One of the first game grownups intuitively play with toddlers is peek-a-boo. Now, kids get to play this game with their favorite Muppet as well! This huggable and soft toy can move and say up to 13 phrases while he plays. Know a kid who’s easily bored when taking a bath? This Elmo toy is definitely for them. 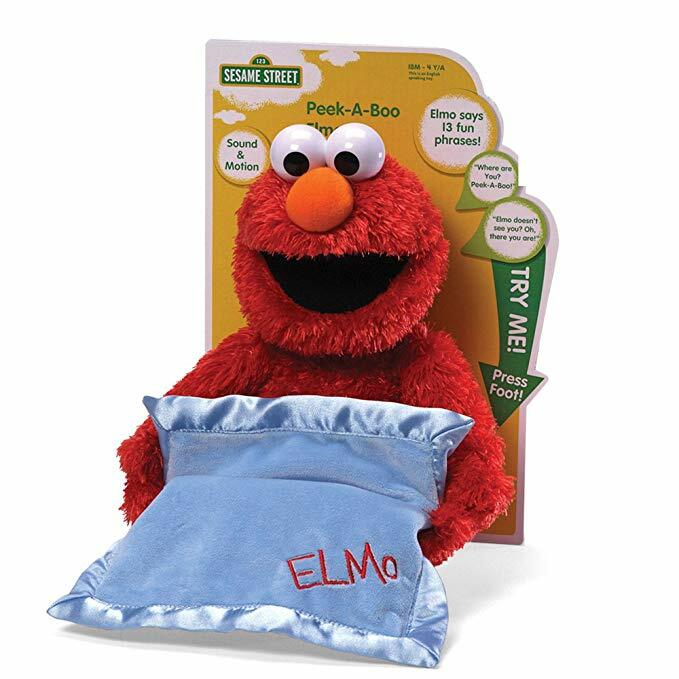 The Elmo in the Tub is washable and is dressed in a fun outfit made of quick-dry fabric. He will become your toddler’s best friend during bath time. Captain Elmo is reporting for duty! This 5-in-1 toy is the perfect pastime for bath time. Water will flow after submerging the hull, the wheels will spin when you pour water on them and the Captain Elmo figure will squirt water when squeezed. Perfect to embark on Elmo’s journey. It’s time to reveal the musician within your child. Let’s Rock Elmo comes with his microphone, tambourine and drum set, and he can sing up to 6 songs. 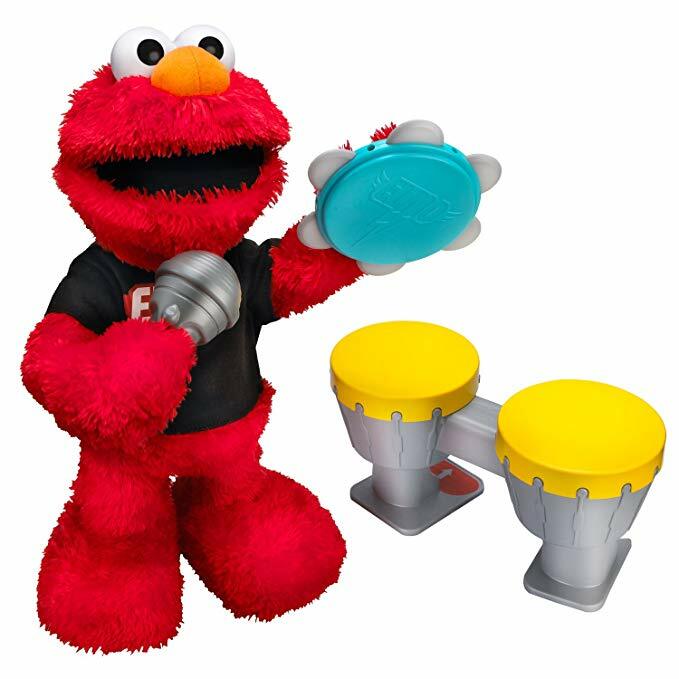 Kids only need to grab one instrument and follow Elmo’s beat. 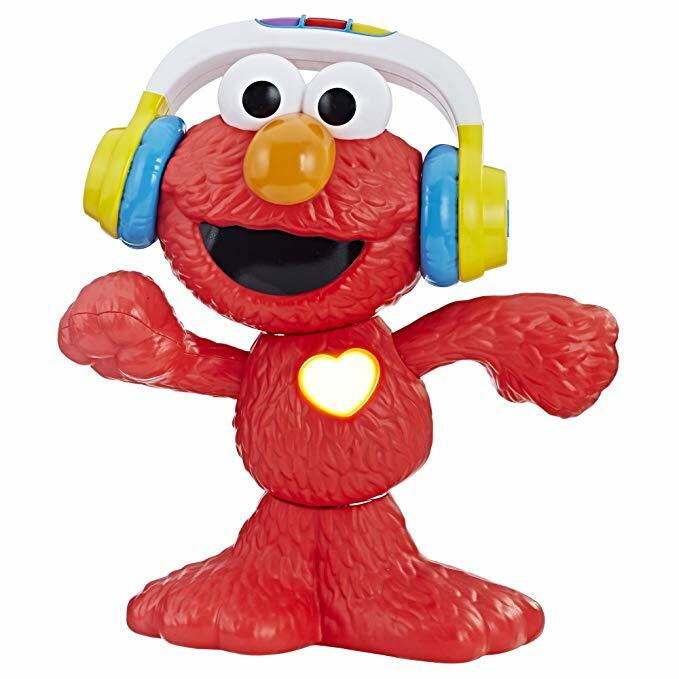 This 12-inch Elmo will make your kid and older family members shake their hips to its beats. This toy has 3 musical modes — colors, animals, and songs — and says encouraging words to get the party going. The nice touch? Elmo’s heart changes color and beats with the music. You got us at no-spill. 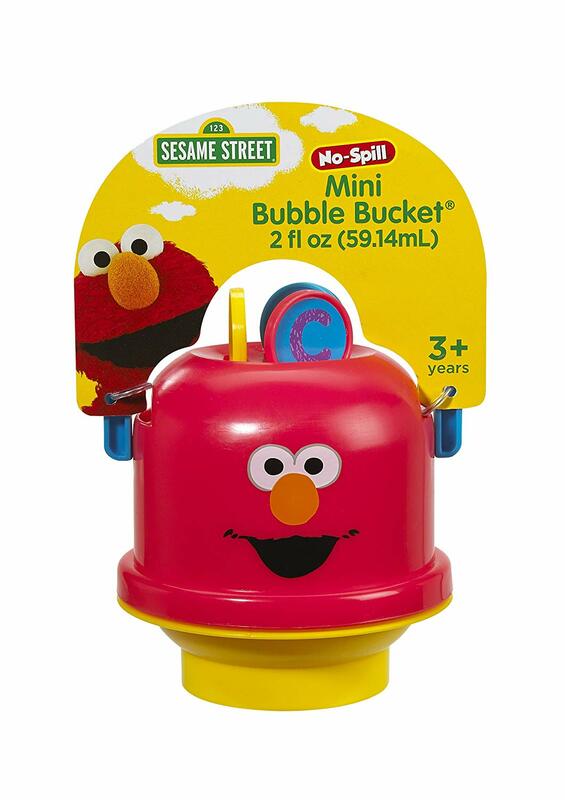 To ensure fun times without the hassle of cleaning after them, this no-mess bubble bucket is perfect. The toy includes 3 wands with letters, shapes and numbers. 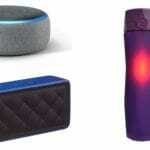 Is your toddler obsessed with real-world tools like flashlights? 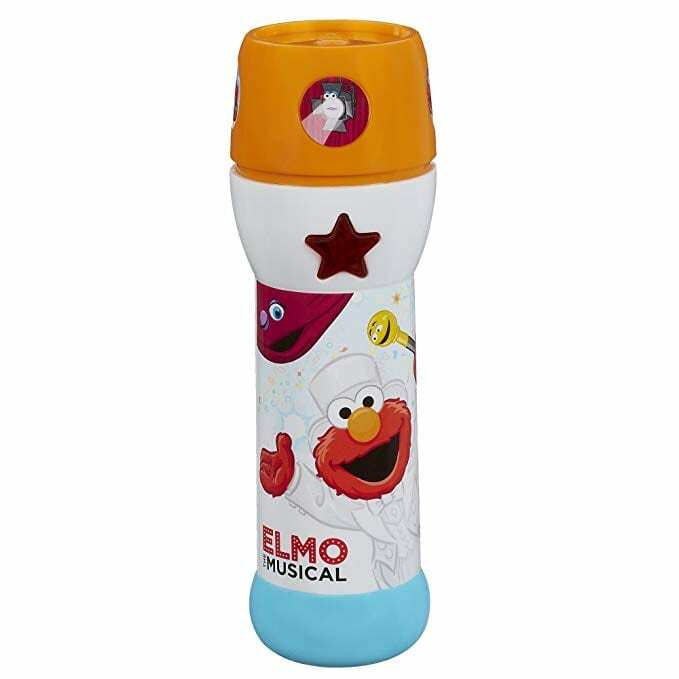 Your kid will be able to flash a picture of Elmo and hear his voice when turning on the Let’s Imagine Flashlight. Having their own flashlight make kids feel like grown-ups. Calling all little brilliant minds, this entertaining set includes 8 interchangeable gears that kids can spin, stack, arrange and count. Preschoolers will train their motor skills with the help of their favorite Sesame Street characters. 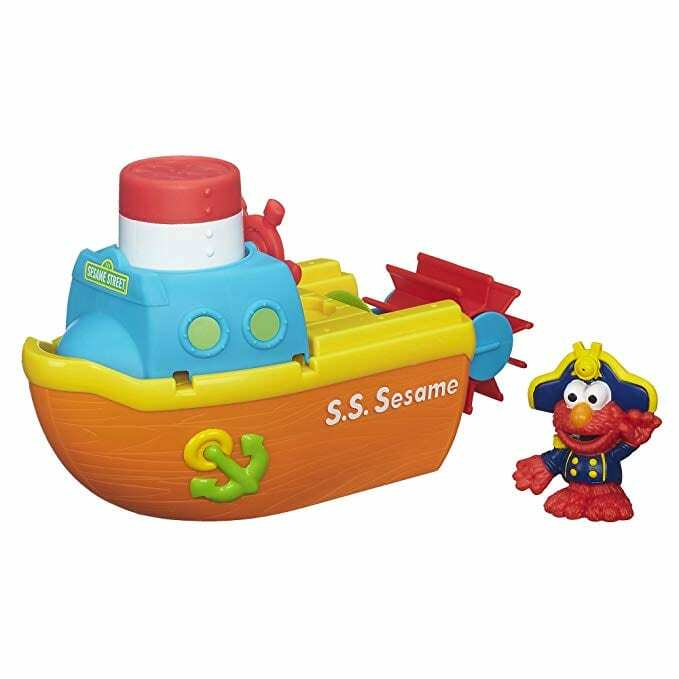 Elmo toys know how to mix and match different games and come up with one mega toy, like here with the Sesame Street Buildable Playset. With these 70 themed pieces, your kid will build fortresses and towers while learning their ABCs. If your toddler has a friend coming over or another sibling, this game will make them join forces and learn how to play together. 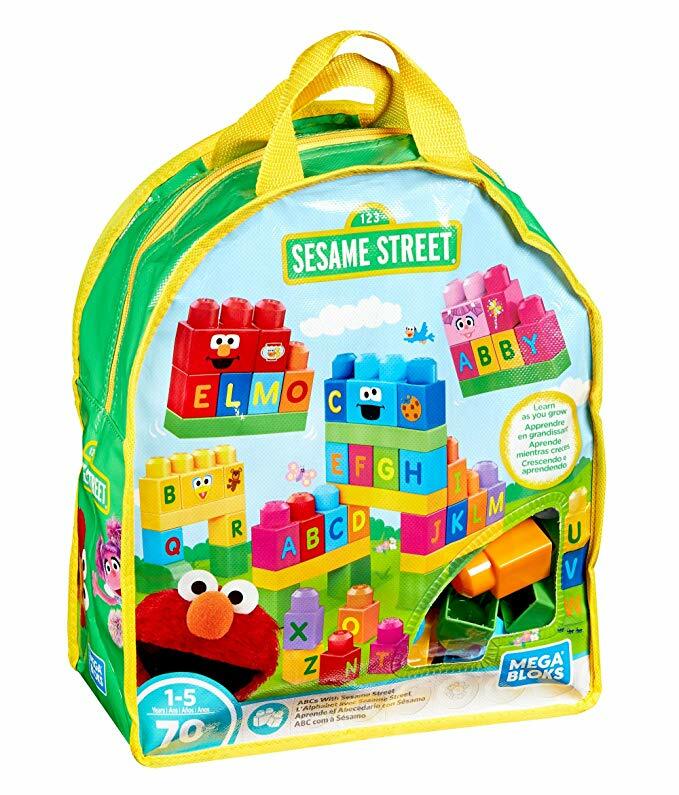 If you thought a child playing is cute, wait until you see a kid carrying their Elmo’s On the Go Letters case with a determined look on their face. It is absolutely adorable! 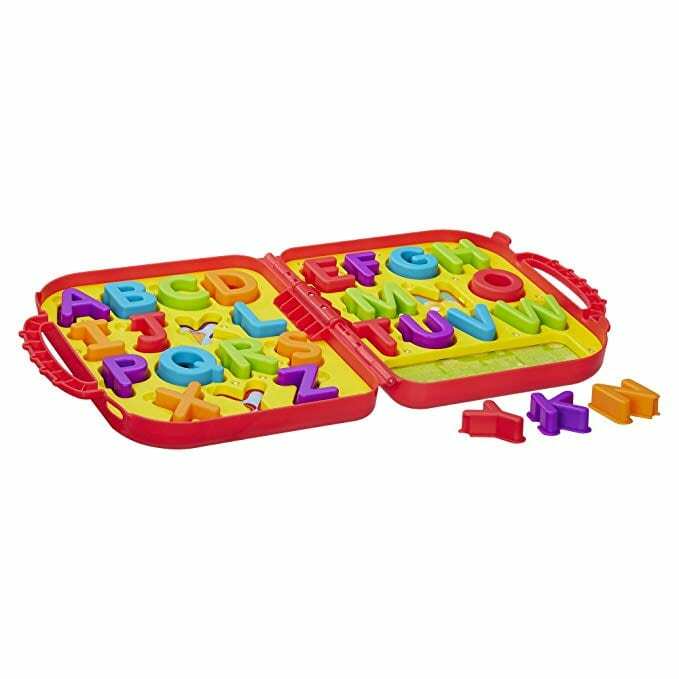 The easily stored fold-up carry case includes 26 letters and a Sesame Street character underneath each one to make playtime ten times more fun. You kid will learn to count to five in no time with this toy. It has two play modes, Explore and Question, so young children will learn number recognition, counting and colors. 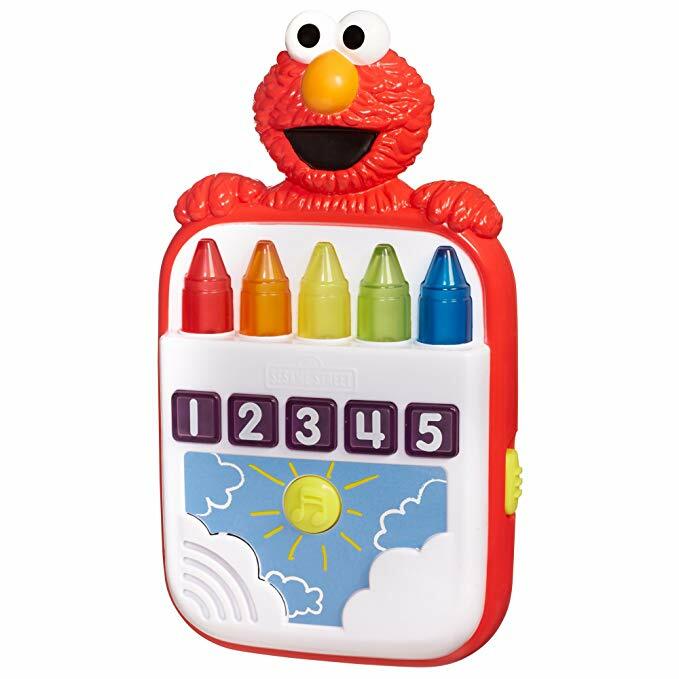 The crayons and numbers light up when Elmo is counting. While the song is catchy, parents and caregivers who prefer a quieter playtime can turn off the voice. 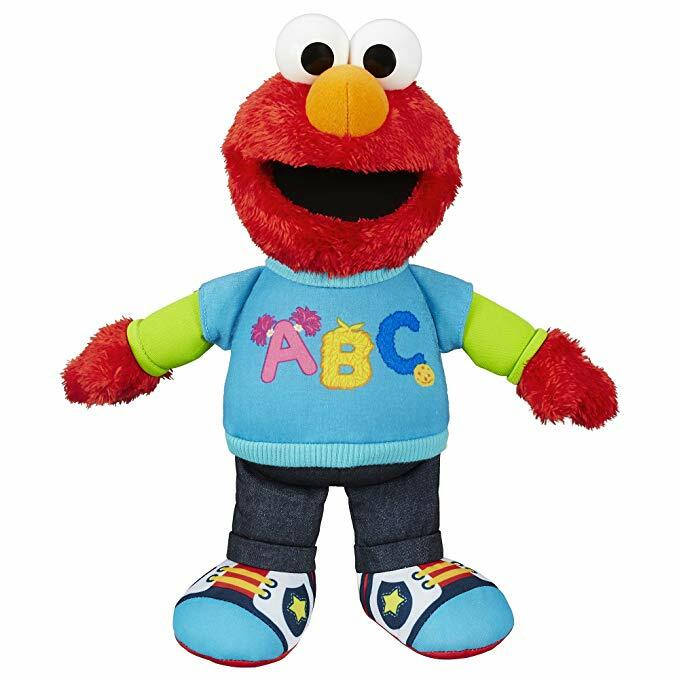 Children can cuddle with this fluffy Elmo and sing along to learn their ABC’s. 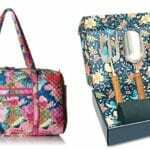 Your kid might have just found their new BFF! 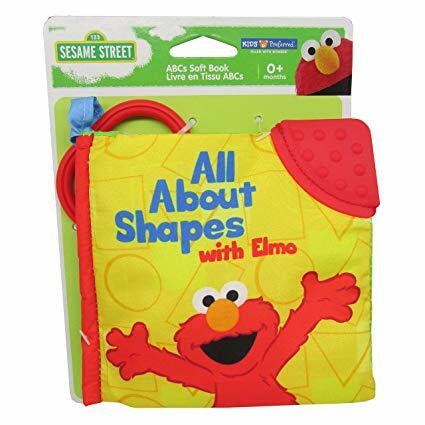 The little hands of your precious one will be delighted with this adorable Elmo fabric book. The book is made of washable fabric and includes a teether, a squeaker and a peekaboo flap. Your kid will grow their vocabulary by learning about shapes and get excited when seeing their favorite Sesame Street characters. How about we have a new take on a classic game? To play, hide the Elmo figurine included in the set and guide your kid to its location. 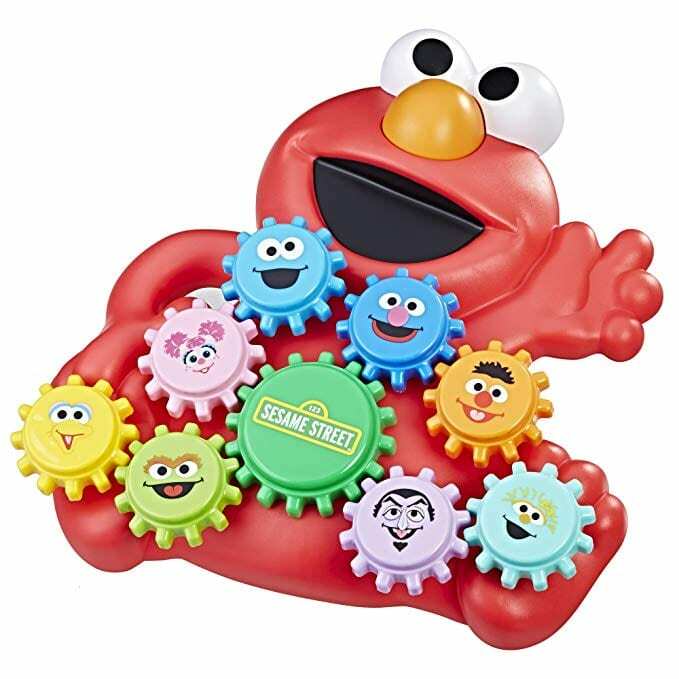 Use either Elmo’s sound feature or use the 24 clue cards. This toy is perfect for getting your toddlers and children moving and spike their curiosity. 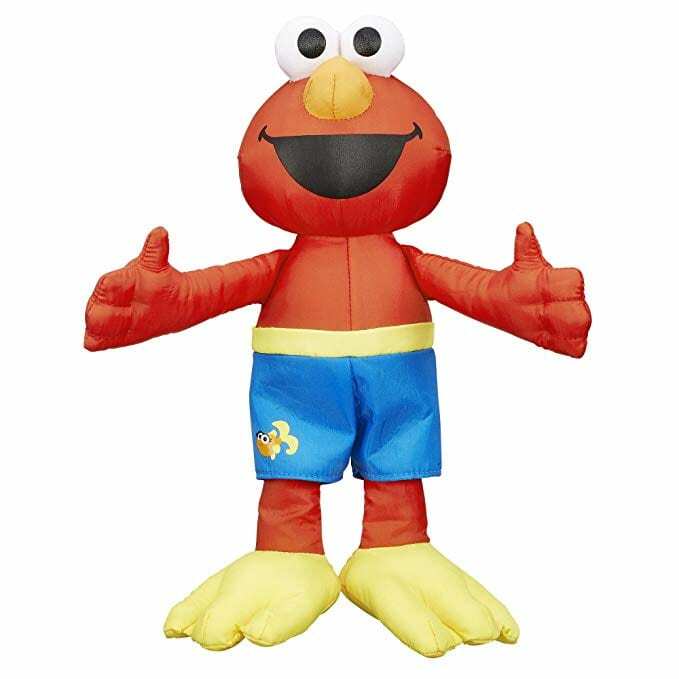 What do you think of these Elmo toys? 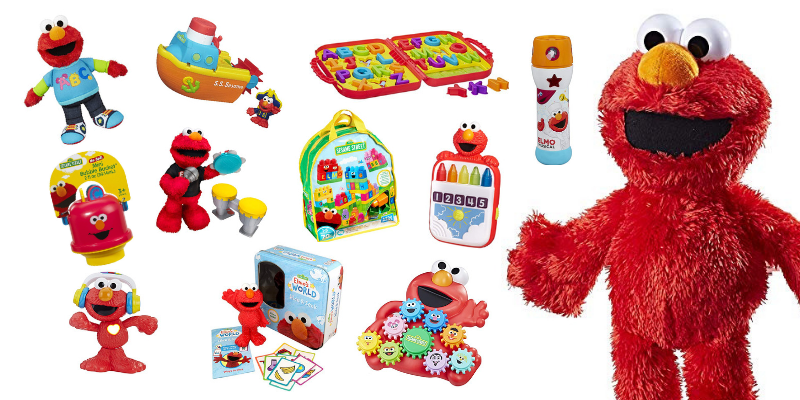 Have you had any Elmo toys growing up? 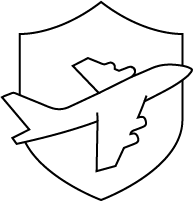 If you’re looking for games that can guarantee fun times for both kids and adults, make sure to read our next article to discover the best board games.